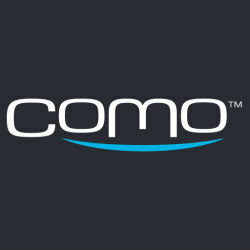 Como is a leader in DIY apps that drive customer loyalty and help small businesses grow and thrive in a mobile age. The comprehensive mobile app solution includes a host of exclusive loyalty programs and marketing tools. The app is a product of Conduit. Como offers a mobile app creation platform. The platform provides all of the tools users need to enrich their businesses and meet the expectations of mobile customers. With the product, businesses can easily connect with on-the-go customers and build lasting loyalty with app features that customers will love. Como Sense is a complete customer management toolset. Keep track of all your customers and know their every move—then motivate them to come back and spend more. Como Sense offers a broad range of incentives, and smart automations to keep them going out to the right customers at the right time. Como Sense integrates with your POS to create a seamless solution where your entire system works together: customer management, loyalty, and all your online services.